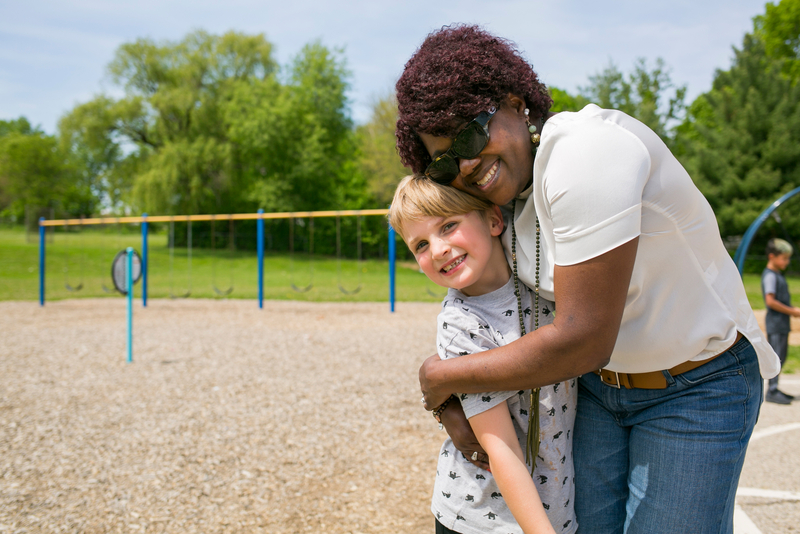 Over the past year, photographer Beth Skogen and I have been traipsing around Madison to document our 75th Anniversary Year of Giving grants in action. For every great image we print in a newsletter or annual report we share with donors who make all of this possible, there are so many more that never get published. So I dove into our archives for a few of my faves that deserve to be appreciated and enjoyed. 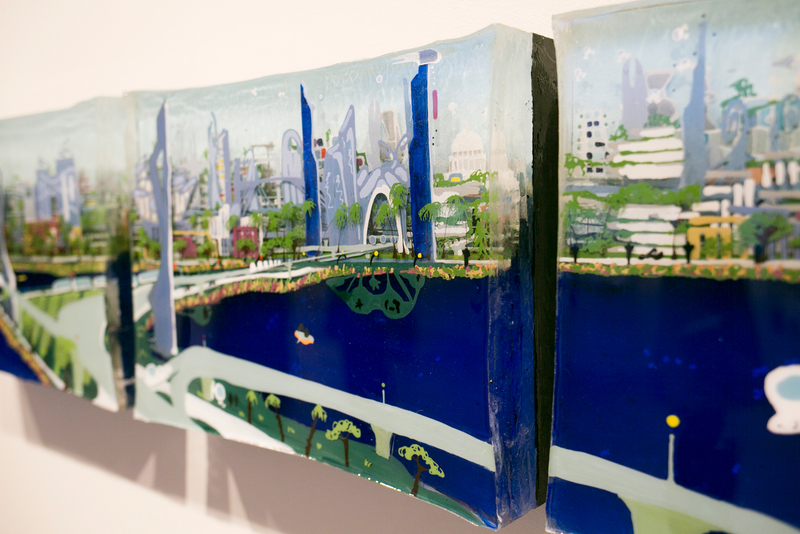 Artist and urban planner Ashley Robertson shared her vision for a future Madison with support from a grant to the Wisconsin Academy of Sciences, Arts and Letters to create the “Future Possible: Imagining Madison” exhibition at James Watrous Gallery. My favorite element is the depiction of future Madison with clear, blue lakes. I truly hope this is possible. I love all 12 of our Year of Giving grants, but some of my favorite stories of impact are from the Mad About Bikes grant, which is creating more opportunities for Madisonians to access and enjoy the amenities and benefits of a bike-friendly community. Pictured above is Terry Esau (top left), who founded Free Bikes 4 Kidz in his hometown of Minneapolis. 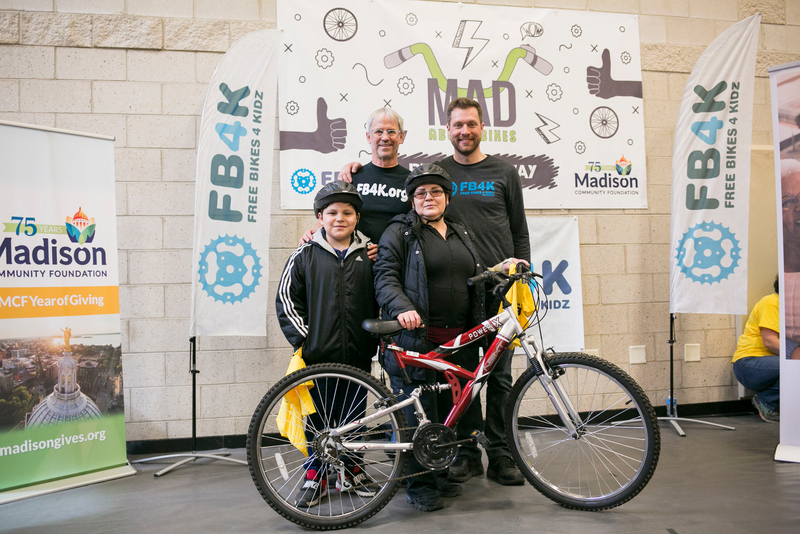 Entrepreneur and bike enthusiast Andy Quandt (top right) admired Terry’s nonprofit mission so much that he launched Free Bikes 4 Kidz Madison with support from MCF and the local bike community. At bottom right is Isabel, who has son Bruce (bottom left) to thank for her new bike. Bruce, you see, already owns a bike, but he wanted his mom to be able to ride with him. Andy Quandt likes to say that every kid who wants a bike should have a bike. I say every kid who wants his mom to have a bike is the best kid ever. Long before Mendota Elementary on Madison’s north side became a Community School with support from MCF (the largest Community Impact grant ever! ), my daughter went to school there. That’s why it was extra special to return to Mendota for a photo session. As you can see from the picture, Mendota scholars remain in the best of hands thanks to Community Schools Resource Coordinator Sonia Spencer. The new Community Schools Initiative, a collaborative educational model that closes opportunity gaps through family and community engagement, will ensure every kid who goes to school there thrives. And while Spencer’s leadership is invaluable, she’s doing it in partnership with teachers, principal Carlettra Sanford, Mendota families, and the surrounding neighborhood, all of whom have embraced the Community Schools model as a road map for student success. 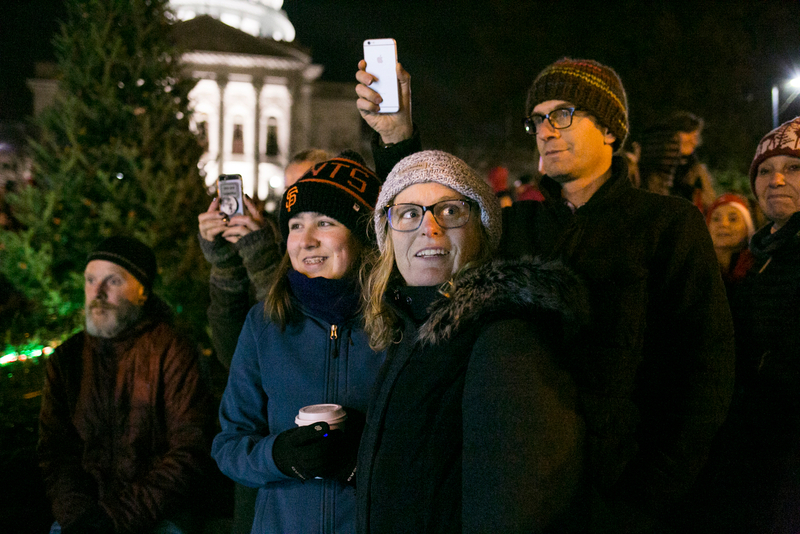 One workplace hazard is that I occasionally end up in a photo (that’s me in the middle), such as this one from the glorious (and chilly) night in November when an MCF grant helped launch the first annual seasonal lighting celebration in downtown Madison. Madison’s Central Business Improvement District coordinated the grant and the six weeks of heightened activity, which achieved the goal of attracting more visitors to eat, drink, shop, and be merry. On this night, I was mixing work and pleasure, as the young lady behind me is my Mendota scholar, now a senior at East High School, and the guy with the iPhone is my friend, George. Stay tuned—many of our Year of Giving grants are still unfolding, and Beth and I will continue to capture their impact! Stay in touch with your questions, comments and observations at mcfblog@madisongives.org.